Don't miss the chance to get up close and personal with the Charger's players at this year's Fan Fest 2009! It’s that time again Charger fans! 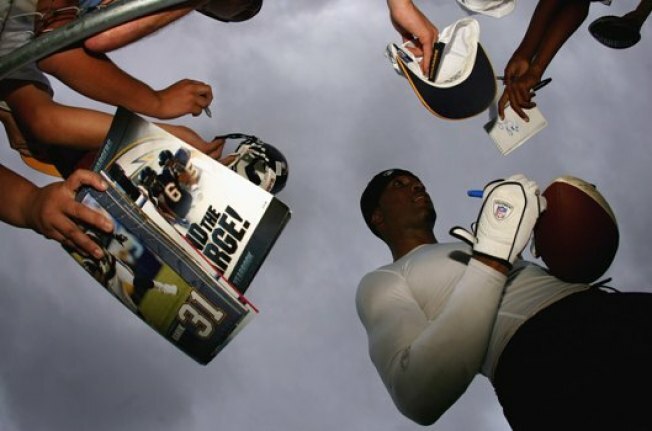 Bring your bolts jerseys, tees, hats, and banners out to Saturday’s Fanfest 2009 at Qualcomm stadium for the preseason practice and autograph signing from your favorite team in Southern California. FanFest 2009, sponsored by Bud Light, will be from 10 a.m. until 1 p.m. and the cost of admission is free. It’s a preseason celebration so make sure to come out and support the your local winning team, the San Diego Chargers!